This December edition of Giants’ Shoulders is a 19th-century special, bringing together the Ghost of William Whewell with the ghosts of Christmas past, present and future. If you will draw your chairs closer to the fire and refill your glasses from the bowl of smoking bishop, then I will begin. John Leech illustration to Charles Dickens' "A Christmas Carol". 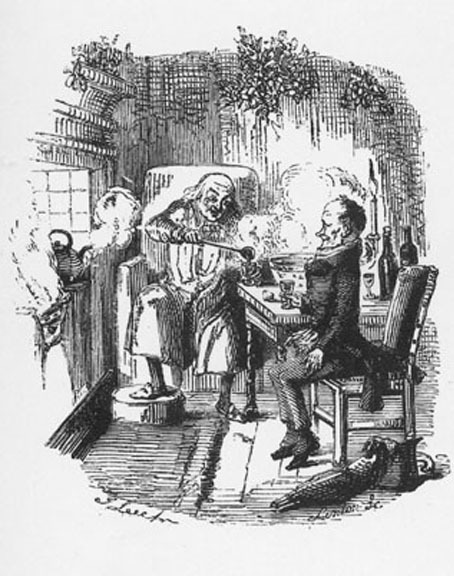 Scrooge and Bob Cratchit with a bowl of smoking bishop.